We’re introducing a “new” song to you this Sunday morning. Actually, it’s a remake of the great hymn “Crown Him With Many Crowns” with some powerful new parts added. To listen to the song and get familiar with it before Sunday, see below. Love it, Melanie! 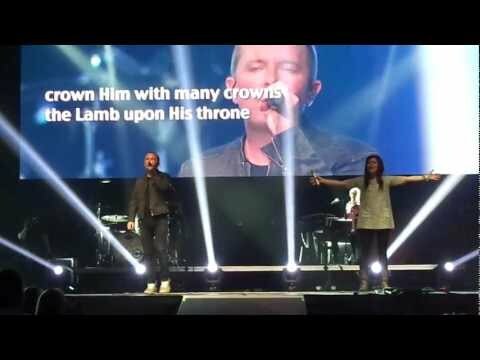 Leave it to Chris Tomlin and Kari Jobe…Makes you want to throw up your hands and give Him your allegiance…Thanks!